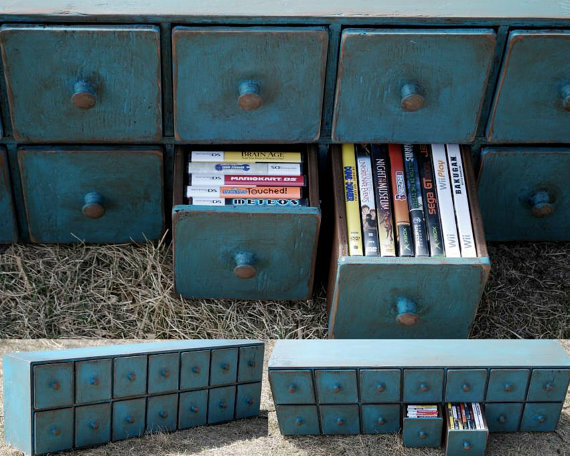 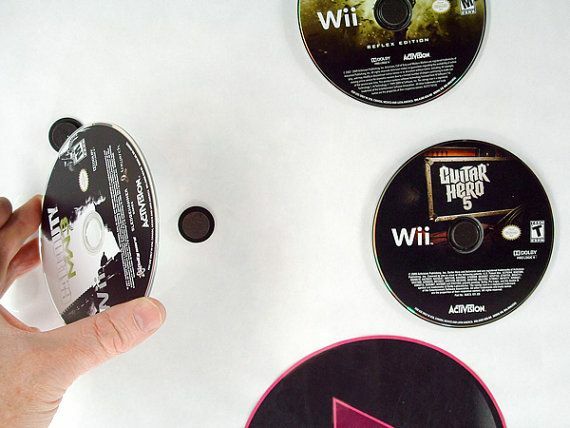 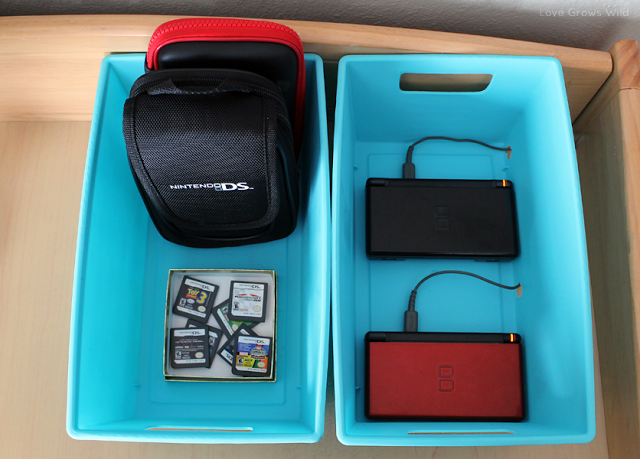 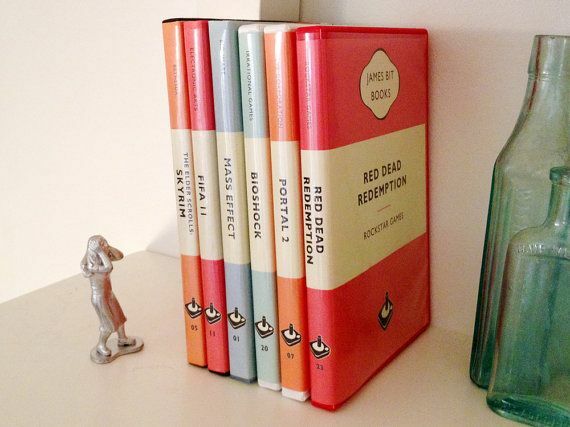 One solution to kids who never put their Wii discs back in the cases: Get rid of the cases with this DIY Wii game storage solution at Infarrantly Creative. 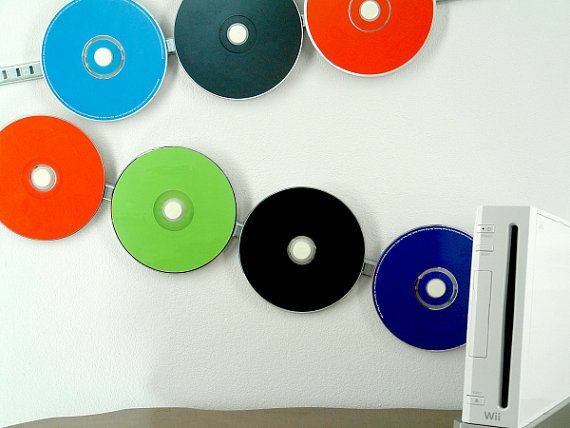 It’s definitely not for a novice DIY-er but you could recreate it with a clear hanging shoe rack too. 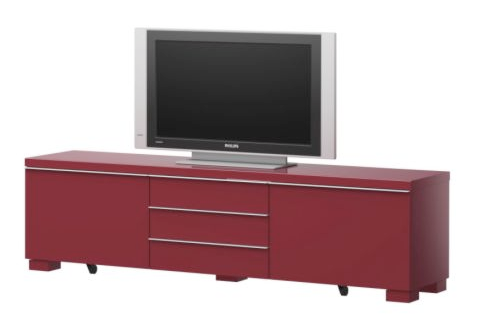 Obvioulsy a standard media console with built in cabinetry is conventional, but there are some nice ones that look less like “media consoles” and more like furniture. 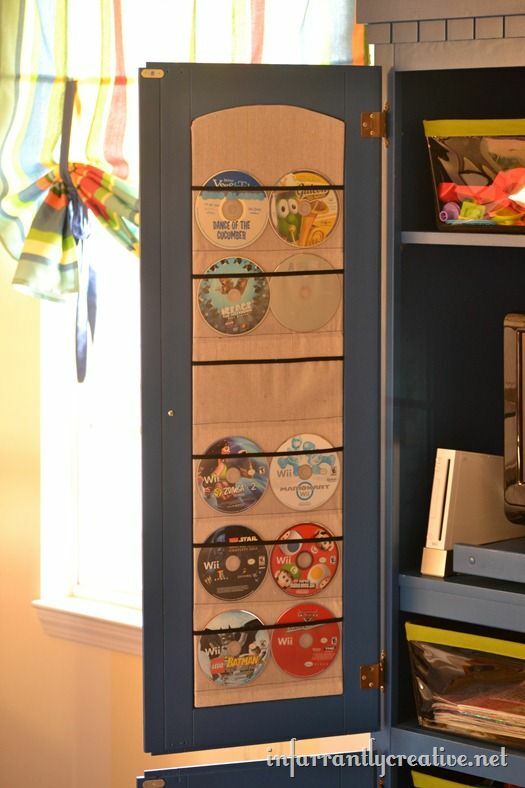 Deep pull-out drawers can be a huge help, especially for lots of cables and controllers which is what I love about my IKEA Besta-Burs console.